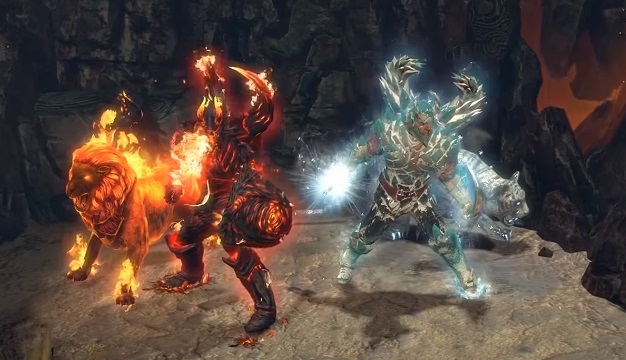 Path of Exile‘s latest expansion, War For The Atlas, went live on Friday. We got the lowdown on it from Grinding Gear Games’ Chris Wilson a few weeks ago, but there were a few more questions – not specifically related to the expansion – that didn’t make it into the interview. We talked extensively about PoE’s four years in live service, and Wilson’s time with the game prior to that, before that before moving on to everyone’s favorite topic these days, loot boxes. Inexorably linked with their implementation is the common conceit that game developers – especially free-to-play ones – can’t possibly turn a profit without some kind of exploitative slot machine meant to squeeze every penny possible out of gamers’ wallets. 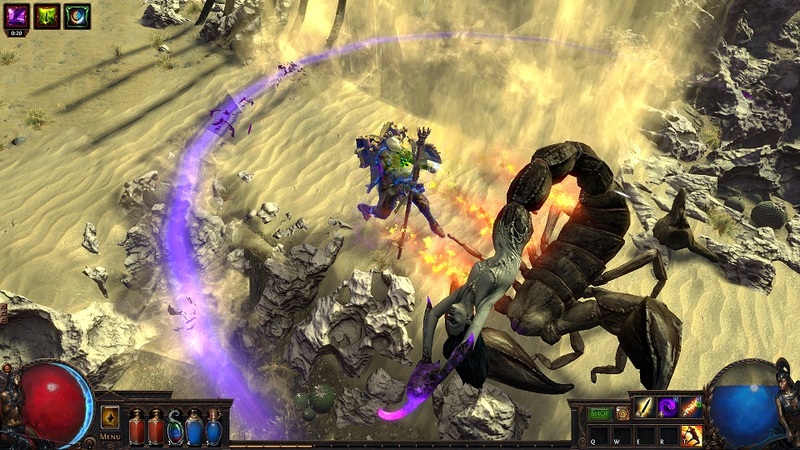 Path of Exile’s loot boxes, on the other hand, seem to strike a reasonable compromise that keeps players and the developer happy. I asked Wilson about their implementation in his game and got some surprisingly candid answers in return. 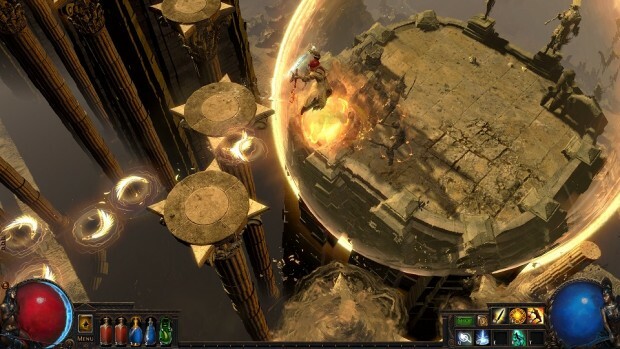 MMOBomb: Path of Exile’s been available for four years, but you’ve obviously been at work at it much longer. How long do you go back with the game and how much has it changed through the years? We worked on it very hard, learned how to make games, eventually had to raise some funding, got an alpha out, got some feedback on that, released a beta, it went viral, eventually had to monetize that, released supporter packs to sell beta access, got into open beta, released it, and this is our seventh expansion. It’s been a long 11 years. MMOBomb: Did you or your other friends have game programming experience? CW: We hadn’t released any commercial games before, just hobby things. So imagine a group of 24-year-olds that know how to tinker around to make simple things. We were programmers, it’s just that we hadn’t worked on any real teams, making real games. MMOBomb: Now you can put something real on your résumé! CW: Absolutely! But yeah, it’s been a long time. I echo everything Bex said in her post, that it’s been an awesome four years working with her, but those four years are certainly different from the rest. Those are the four years after the release of the game. Dealing with a community and operating a live service is entirely different from getting a game made. For seven years, the challenges were, how do we make a commercial game that’s going to be good? If we want to secure a realm, how do we write that? Basically, it’s working everything out, making it work on a variety of systems … all of the things you have to do to make a game. Discovering how we take money from players. What are the legal implications of that? What do we have to set up? And then after it’s released, it’s been entirely, OK, there’s far more players than expected, how do we make the servers handle that? It’s 4 a.m. and a hard drive dies in a server in Texas, how do we respond? But the pace of development has increased substantially. It took us seven years to initially get the game out, and then every quarter of a year since then, we’ve released something as large as the game initially was because we have over a hundred people working on content every day now. MMOBomb: That’s something I was going to ask. The initial press contact email said something like “After such a huge expansion in Fall of Oriath, how on Earth does Grinding Gear Games have another expansion ready?” So … how? CW: What we often do is we set our team to work on some future thing. Like, let’s say Fall of Oriath came out and we said, OK, two years from now, we’re going to have a huge whatever-it-is. So we set the team going while then working slowly on the next release coming out. But in this case, we didn’t start work on a gigantic thing just yet because we wanted to capitalize on the fact that the game’s popular and also fix up a lot of stuff that we’d like to improve about the endgame. We feel War For The Atlas is necessary, and it’ll be really good to get it out there before Christmas, so that the players who are playing and enjoying Fall of Oriath will have new stuff to continue playing. Some of the map stuff is feeling a bit stale in the last year, so we purposely put 100% of the efforts of the company into this expansion, so that we could release an awesome one in December. Now, this may mean that our March launch is a little smaller in comparison, because we’ve got the game in a good state. We’ll see what it’s like once we’ve got it out there and see what our feedback is like. MMOBomb: All right, moving on to everybody’s favorite topic: loot boxes! You guys do loot boxes a little different from other companies. First, there’s only one item per box. Second, you actually post the odds of getting items of the three rarities. Third, you make the individual items available for purchase later. So there is some randomness involved, but it’s about as honest as you can be with that sort of thing. That said, you’re pretty open with people being able to trade items in-game, but not with the items gained from loot boxes. That makes a certain amount of sense, business-wise, but it seems a little discouraging for players to receive duplicates that they can’t use. How would you address those concerns? a) They can be purchased with real money, so we don’t want to provide a vector for real money to be tradable for in-game items. b) The sale of microtransactions is our only business model, so if we allow people to bypass that by receiving spare ones from friends, then it may hurt the viability of our only revenue stream. c) Microtransactions are often received at a substantial discount. Mystery boxes have an expected value of more than three times the price the player pays. Many microtransactions are given away for free in promotional events. If duplicates were tradeable, then other players would receive full utility for them, causing point “b” to be worse. Note that an exception to the above rule are a specific small set of promotional helmets that can be traded on the Steam marketplace, as an experiment in 2014.
a) Random non-duplicate outcomes, with a small discount from retail price because of the randomness. b) Random outcomes where duplicates are allowed, at a massive discount from retail price. This is the model we chose. While duplicates in excess of ~1-3 that the player wants for their characters are undesirable, this is the way it’s designed so that the boxes can be so cheap. MMOBomb: Some players have suggested you be able to trade duplicates for skin transfers. What’s your take on that? CW: We have looked at various options for what we can do with duplicates but because the duplicates are intentional, it’s not likely to be a redemption or trade-in system. MMOBomb: Also, the items from loot boxes can’t be bought until after the next loot box set is out. Why did you choose to go that route? CW: To avoid making the boxes feel mandatory, we knew that most of their contents needed to be released later. We picked a month after the box goes off sale (which is about four months from the start of the box’s sale, generally) so that the thing that people are winning is the exclusivity of having the cool new microtransactions for an entire season before other players. Thanks to Chris Wilson and Grinding Gear Games for taking the time to answer our questions.